St. Brendan School has so many great things to offer. I welcome you to learn more about what makes our school such an invaluable and lively place to encounter Christ together in faith, service, and education. St. Brendan Catholic Parish School was founded in 1964 and has been a strong presence in the community ever since. We offer 3- & 4-year-old preschool, full-day kindergarten and first through eighth grades on our nine-acre campus. Best practices and integrated technology are used to connect learning with real-life application. Interactive lessons, project-based learning, STEM and authentic assessments enable students to be active participants in their education. Grades 1-4 each have their own iPad mini to use throughout the day and grades 5-8 are 1:1 each with their own chromebook. With guided instruction students experience the academic opportunities that accompany a technologically advanced school. Kindergarten utilize the iPad cart, which they use both in the Technology Suite as well as in the classroom. Preschool through 8th grade classrooms have Interactive Projectors. Our technology makes learning come alive! We follow the State of Ohio standard curriculum infused with our Catholic Identity. In addition, St. Brendan School has advanced programs: Spanish (Pre-8), algebra I, advanced math and science, as well as additional wellness and enrichment programs for all grade levels. The addition of a Curriculum Coordinator to our faculty has proved to be beneficial. 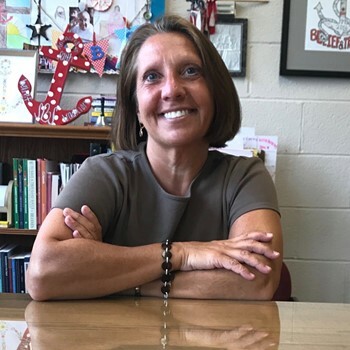 Her role includes: researching classroom instruction that works, investigating new technology that will enhance learning opportunities and teaching study and test-taking skills. Our dedicated faculty are licensed professionals that strive to cultivate the student's spiritual growth and academic achievement. Faculty and staff model our mission statement so that all may come to know Christ through us. We invite you to come visit St. Brendan School and experience for yourself, our warm, nurturing environment. Miss Julie A. Onacila, M.Ed.